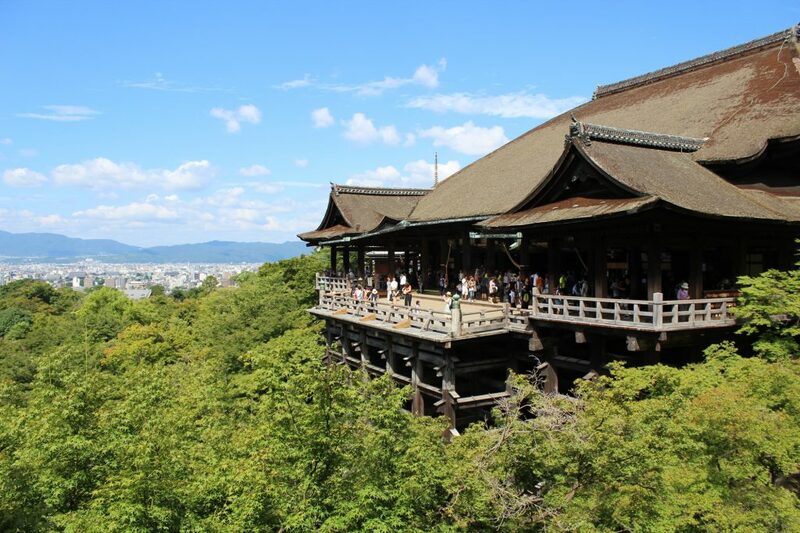 My itinerary for 5 days in Kyoto. You may have already seen everything we did while staying 6 days in Tokyo, now it’s time to know how awesome our trip to Kyoto was! You can get here my shared Google maps with the precise location of the great places we visited and also highlighted below a bit of our experiences. 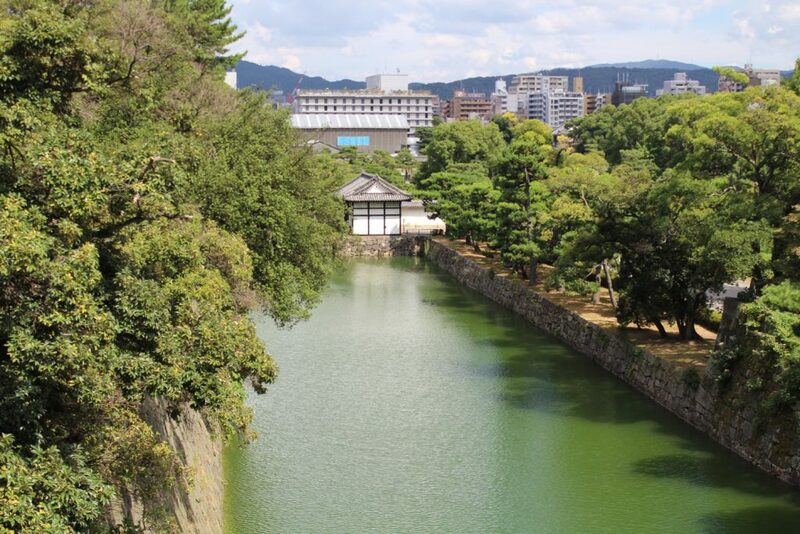 The “Pure Water Temple” is one of the most stunning places I’ve visited in Kyoto. Not only for the magnificence of those buildings but also for the spectacular views. A bit unfortunate that we were there during summer though. I do believe spring and autumn will give you an unforgettable landscape for truly memorable pictures. Another thing to not miss is walking around the charming and narrow streets close to the temple. 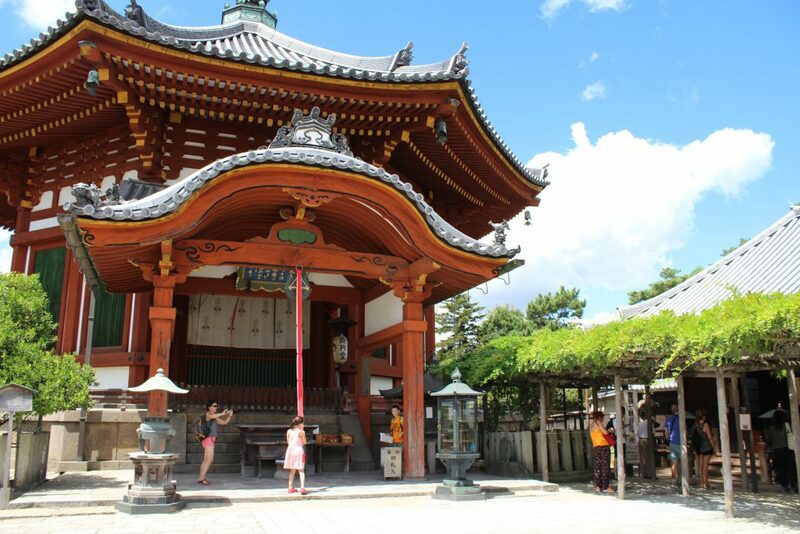 They are, as you might assume, surrounded by traditional Japanese-style dwellings, restaurants, and souvenir shops. 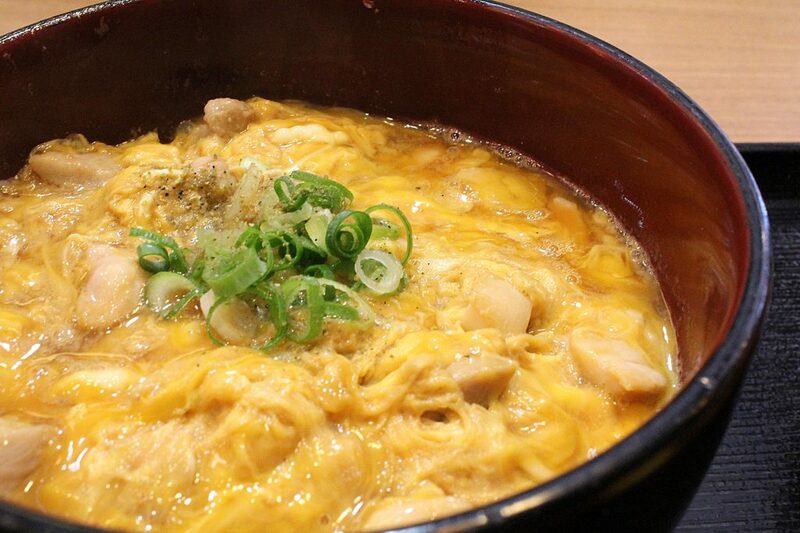 Close to the fantastic Fushimi Inari Shrine you will find this family-owned udon restaurant. 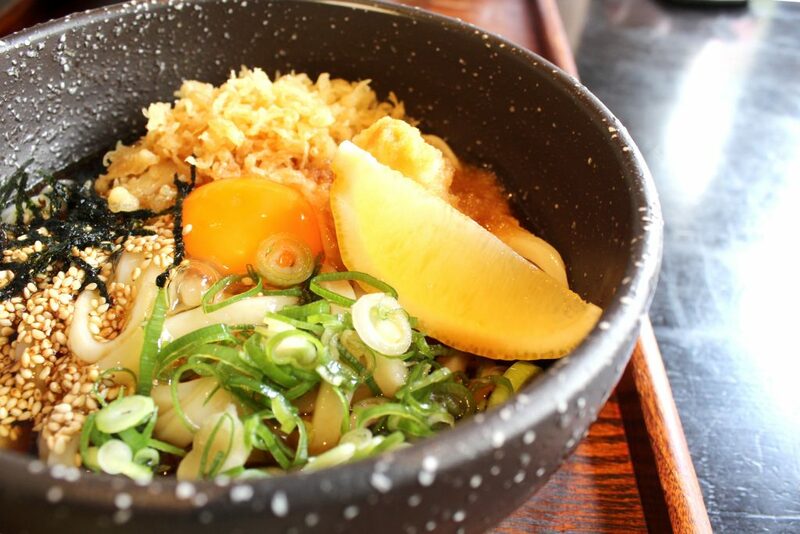 Not only with delicious homemade udon on their menu, but also other traditional Japanese dishes. In case you are keen to try iron pot gyozas, this is the place to go. Just have in mind that there is a maximum number of gyozas you can order per table (yes, unbelievable, try to explain that to an empty belly :D). Apart of that, their gyozas are simply out of this world! 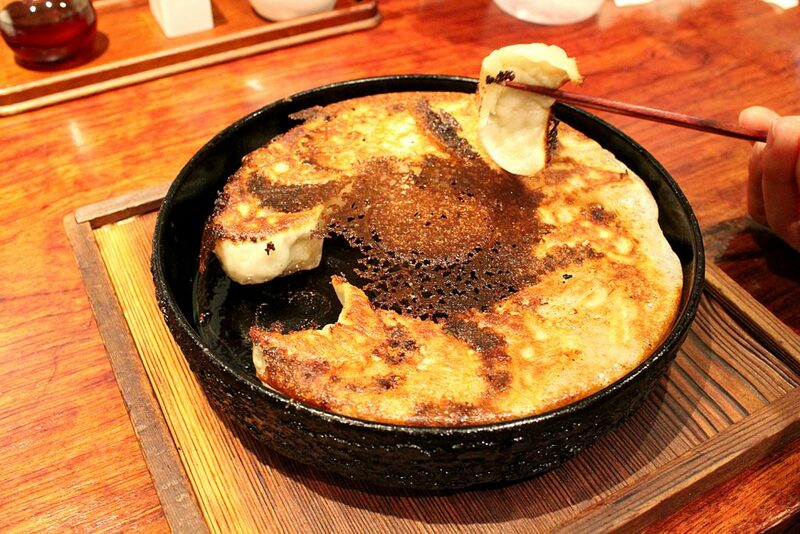 Anzukko Gyoza, cooked on an iron pan. 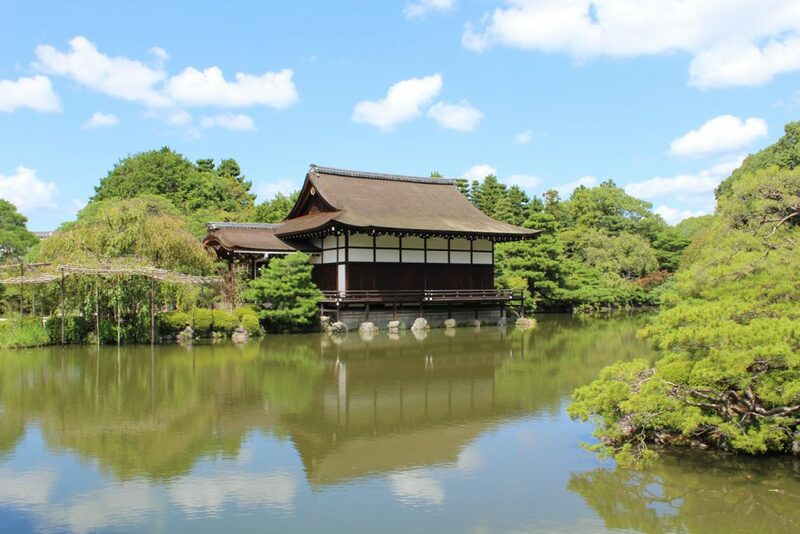 This is another beautiful shrine in Kyoto, in which there is a paid garden that is totally worth the visit. 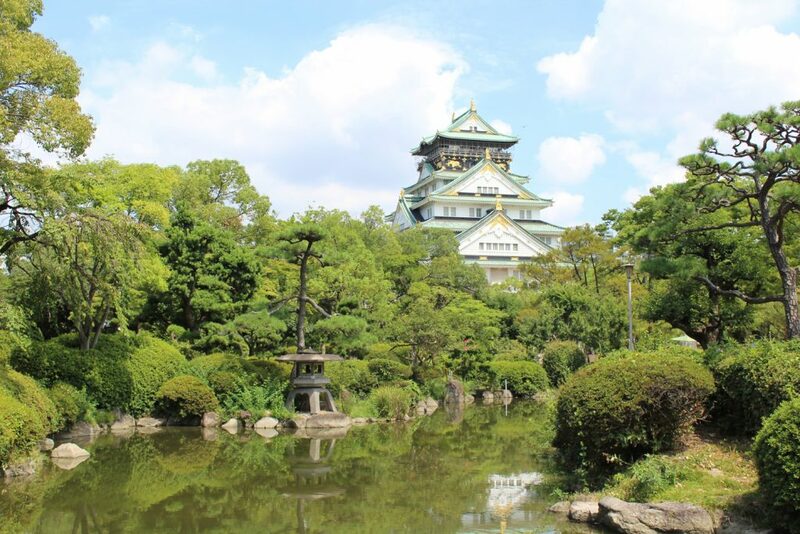 You can see a traditional Japanese-style garden, packed with beautiful trees and flowers, and a serene environment. This is a 414-years-old castle in the middle of the city. You can walk around the gardens for free or pay to enter some restricted areas. We did just the free section, so I can only talk about the garden and surroundings. 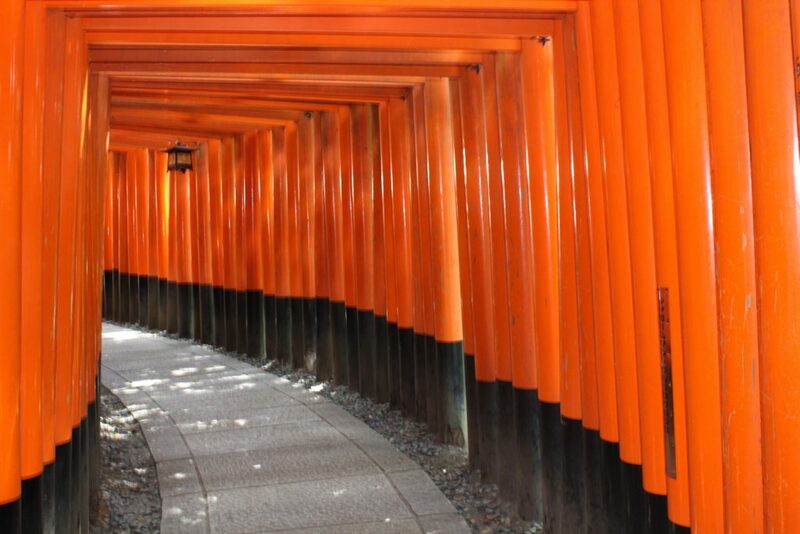 It is a beautiful place (like others in Kyoto), so in case you are in a hurry, you can skip this one. 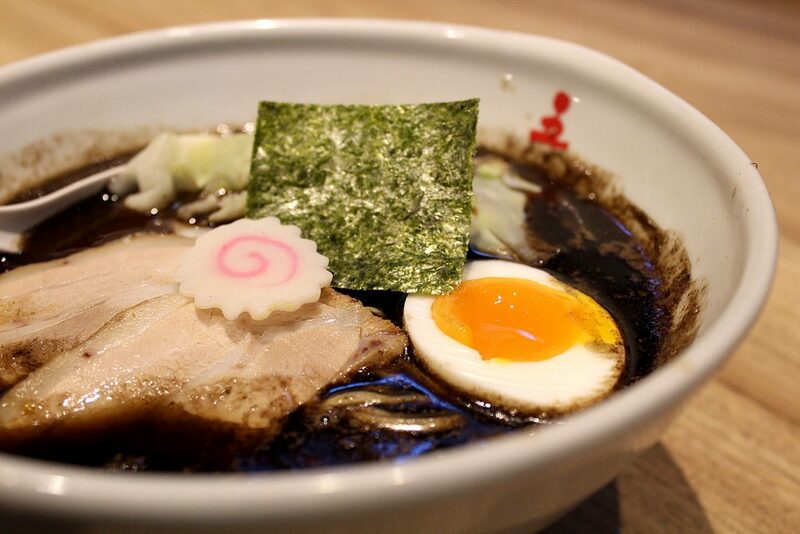 In case you want to try some of the most traditional Japanese food, or is just curious to see different stuff, this is the place! 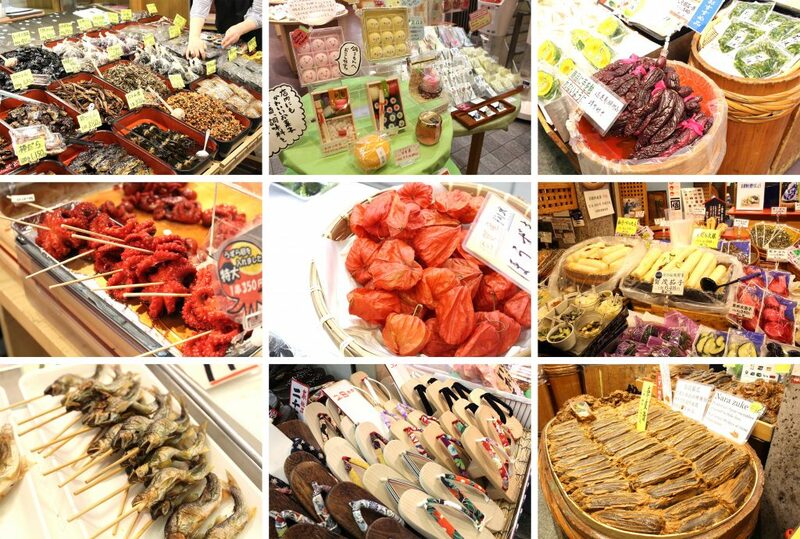 It’s also an amazing place to buy Japanese sweets and souvenirs. Just keep in mind the market closes early, so check their timetable before going. If you like gold this is the place to be (but you can’t take it home with you, unfortunately :P). 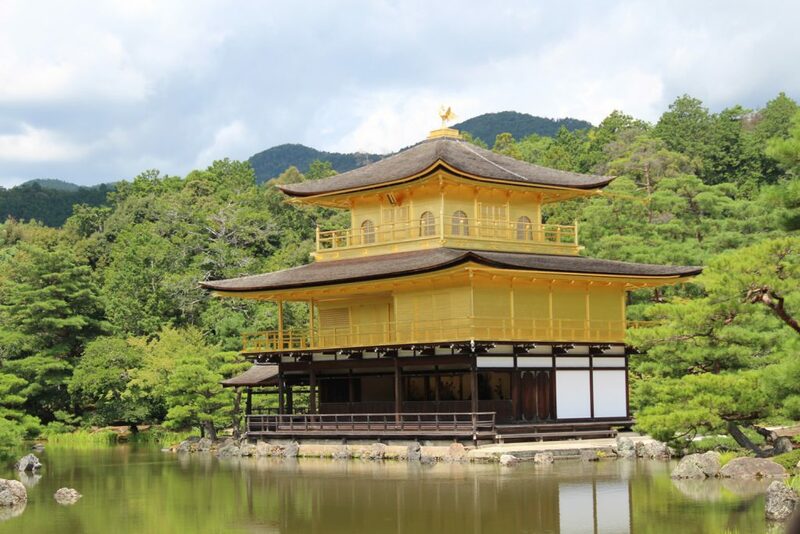 The garden itself is not that big (there are better ones in Kyoto), but the golden temple in the middle is something remarkable. It’s a bit unfortunate you can’t enter the temple; also I recommend going early in the morning to avoid lines (they can get HUGE). I’ve found this place very interesting. 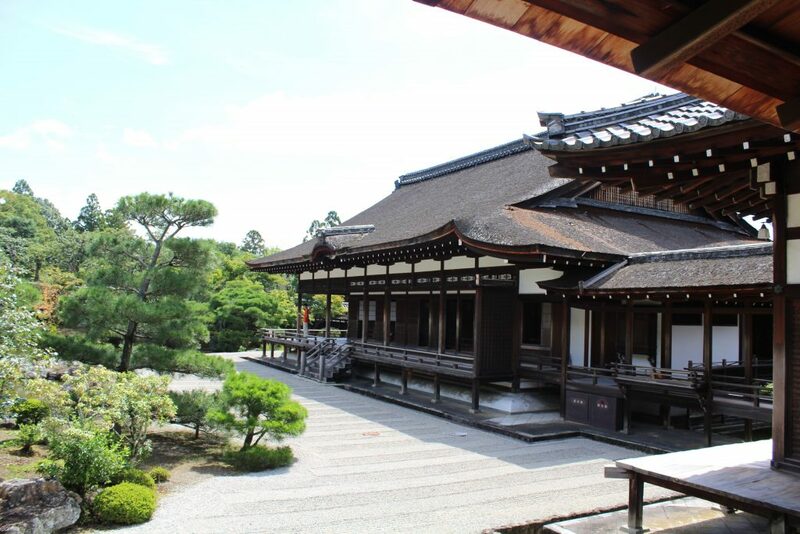 Paying for the Goten Palace you will be able to walk through the house, see their rooms, decorations, and all that beautiful minimalism that you can only find in the Japanese culture. This is a must for train fans! 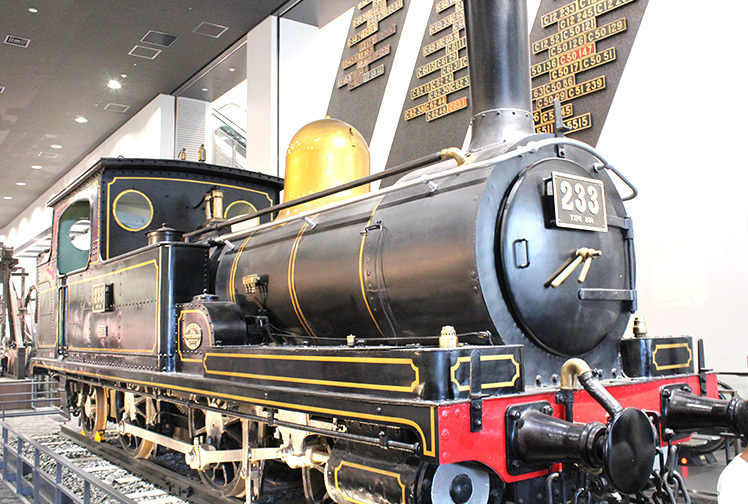 (Hubby loved) In this museum you will find everything related to the Japanese transportation history, including previous Shinkansen models (bullet train). A very entertaining place to spend at least a couple of hours. They also have some sessions where they run a simulation of different trains (of mixed generations) serving a few stops. Quite interesting to watch, despite being done exclusively in Japanese. Close to Kinkakuji you will find this beauty called Kinugasa Zen udon house. There are many udon flavours, both cold and hot. The food quality was great and also the prices! Also around the Kinkakuji area (ok, for this one you might need to walk a bit), there is this amazing tofu place. Tofu Cafe Fujino is specialised, as the name clearly suggests, in tofu and soy products, with many vegan options to satisfy even the most selective tastes. You can have a traditional Japanese lunch there if you want, but we decided to try only their desserts. 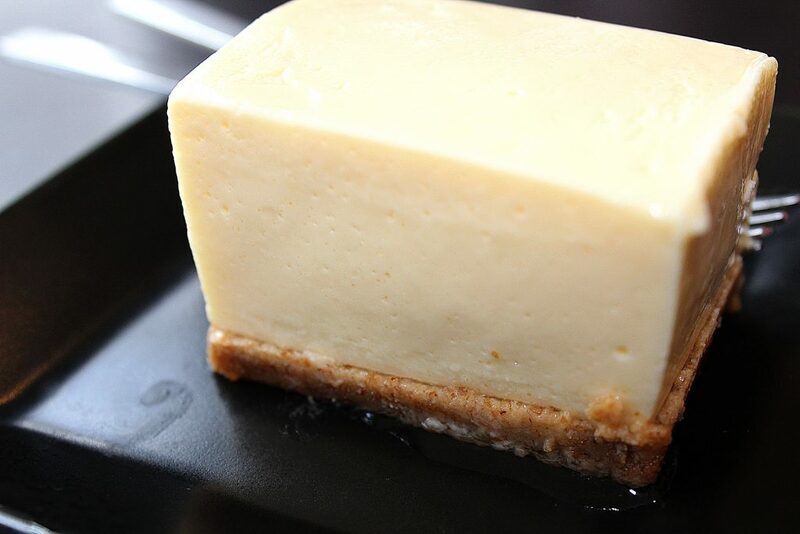 Their tofu cheesecake is a MUST. 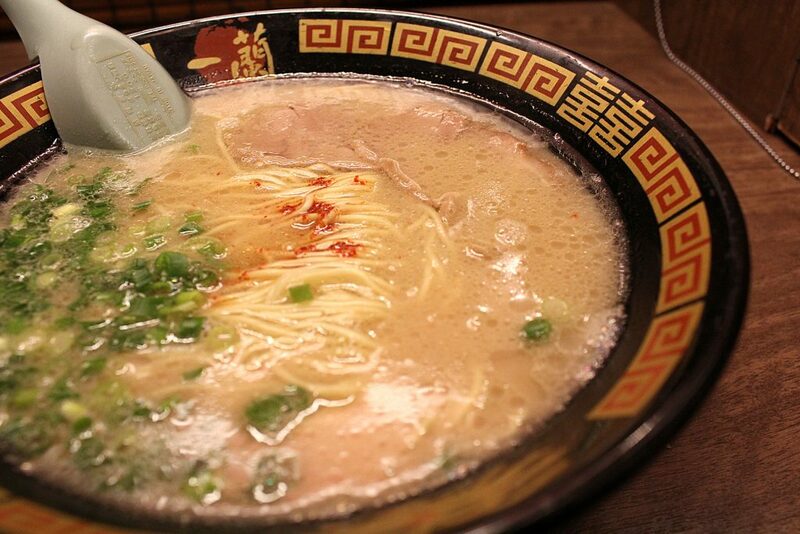 This is the BEST ramen in Kyoto EVER. I don’t need to say anything else, JUST GO THERE! 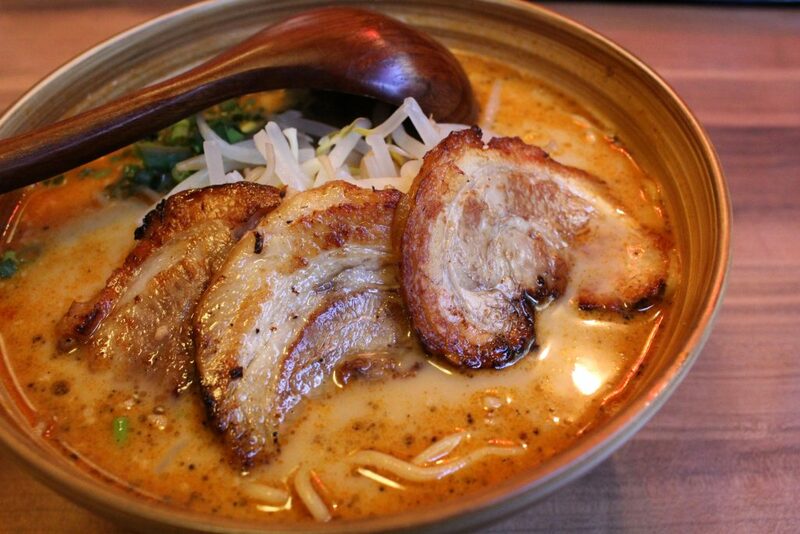 Yamato no Miso with gyoza – miso-based broth, with veggies, minced pork and spices, topped with three chased pork slices. 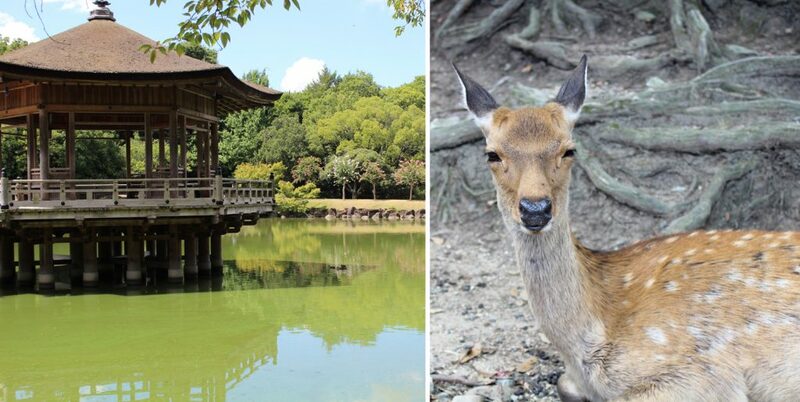 This charming park is right in front of another temple we wanted to visit (see below) and is full of deers! Aw, they are so cute, you can even pet them! I noticed there are stands selling a special biscuit to feed them. Funny enough, I’ve also seen tourists trapped in a circle of hungry deers. So, in case you have kids, watch out for them! 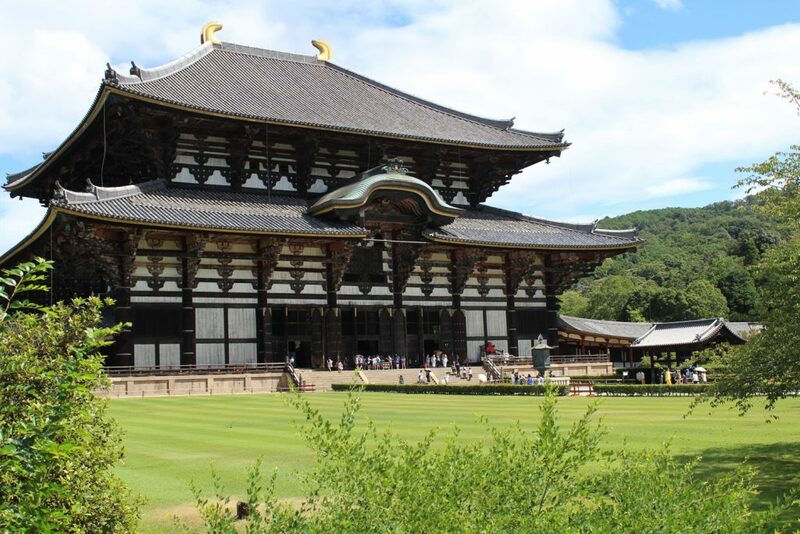 This is one of the most outstanding temples I’ve visited there. You can’t really see how big this place is from the photo below, it’s unbelievable. Inside of it you will find a huge Buddha statue that made me speechless. Namba is a very busy suburb to explore while in Osaka. 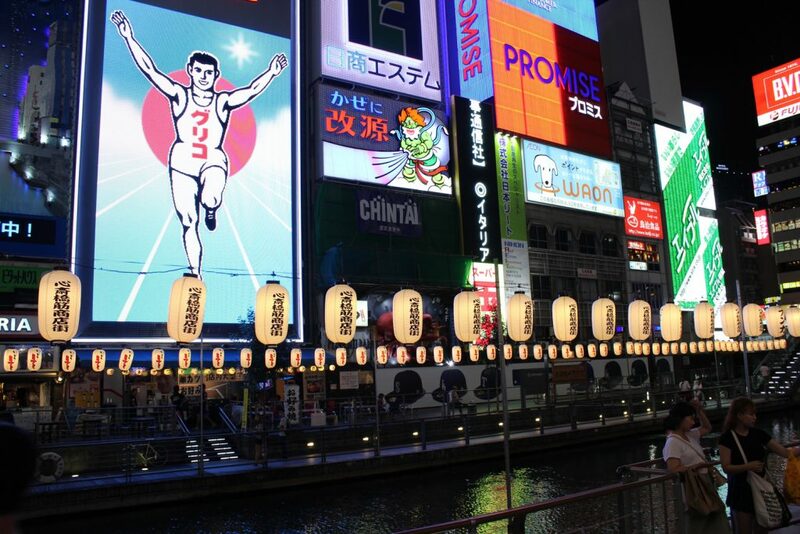 We decided to spend our afternoon walking around that area, especially along the famous Dotonboru Street. A good thing is to do is to wait until dark to see all the neons lit up. 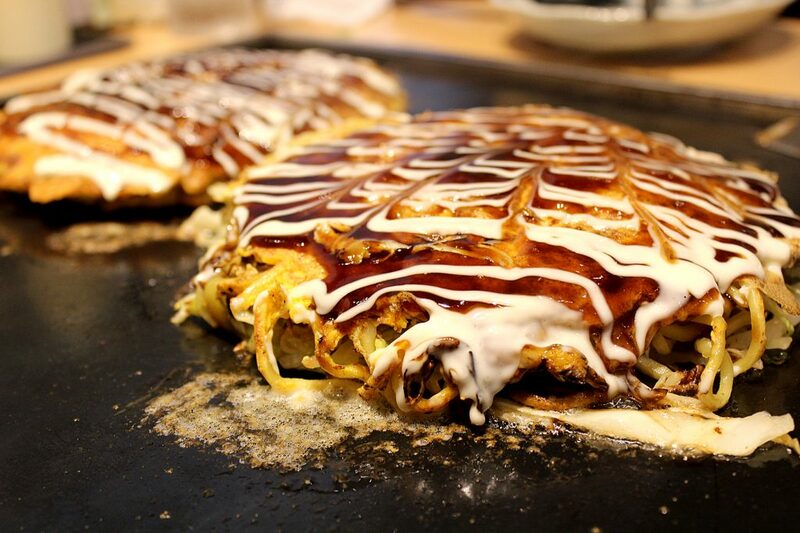 A good place to have authentic Okonomiyaki in Osaka. There are many different flavours, including sets for 2 people with very competitive prices. We ordered one of these sets, which included two pancakes, Japanese omelet and salad. Yummy! Dotonbori yaki and Hiroshima yaki meal for two. 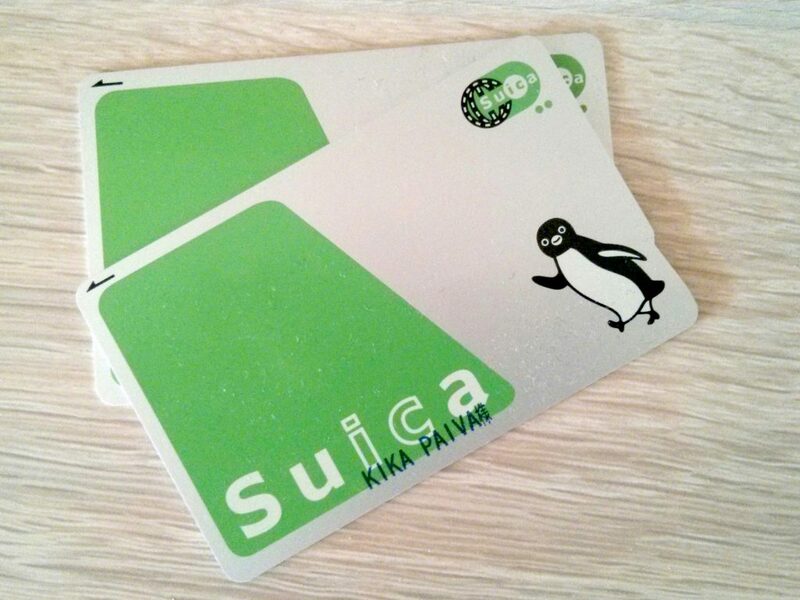 As I’ve said on my blogs post about my 6 Days in Tokyo, you can also use the Suica Card in Kyoto. So, in case you doing both cities, keep the card with you! Different from Don Quijote in Tokyo, this is a more traditional supermarket, full of good fresh options. We bought many fruits, veggies, and nuts there. Also, things for our breakfast and snacks to survive the long walks during the hot summer days. I hope this itinerary can be useful for you too. 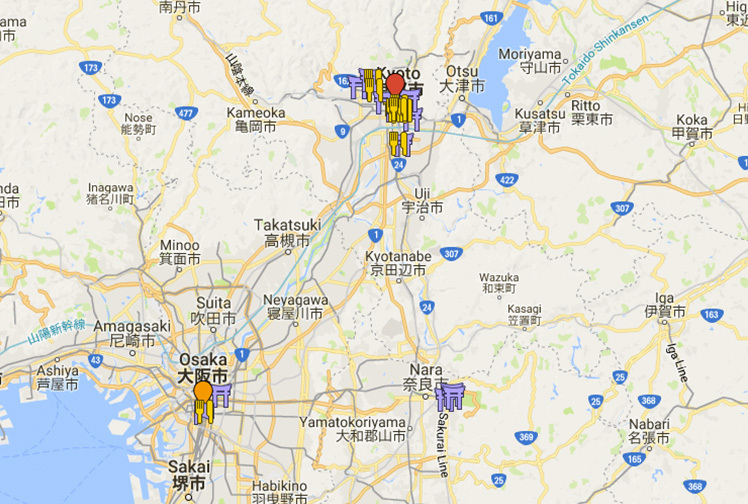 Please let me know if you used it or any hidden gem you might have discovered in Japan too! Here is everything I’ve published about our trip to Japan.